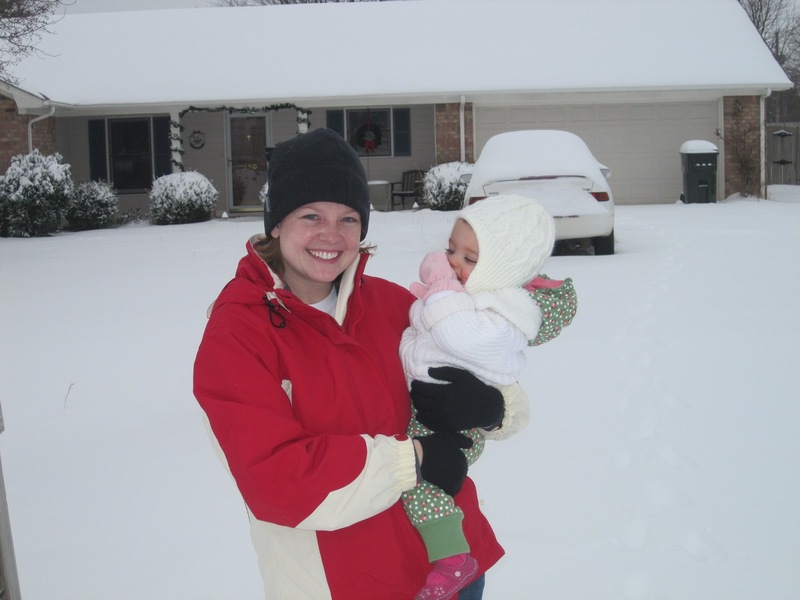 Lily has seen snow so many times in her life that she’s going to think this is normal in Alabama. Maybe it’s becoming normal??? We got almost 8 inches of snow last night and we are snuggled up in our house staying warm. My school is closed again tomorrow, so we get another day to play in the snow! YEA!!! 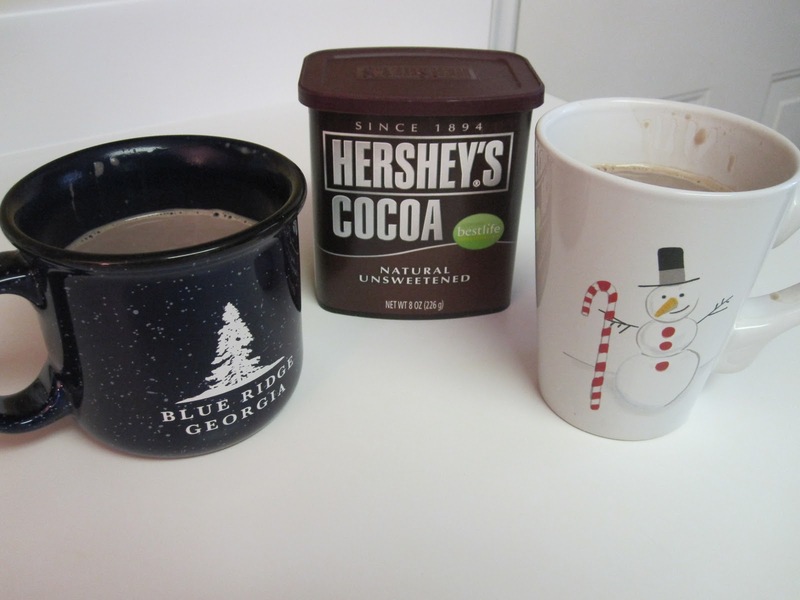 The day started with hot cocoa. The only other time in my life that I have seen snow like this was in the blizzard of ’93 in Birmingham. I spent the night with my grandparents, the power went out, and we made hot cocoa over a fire. 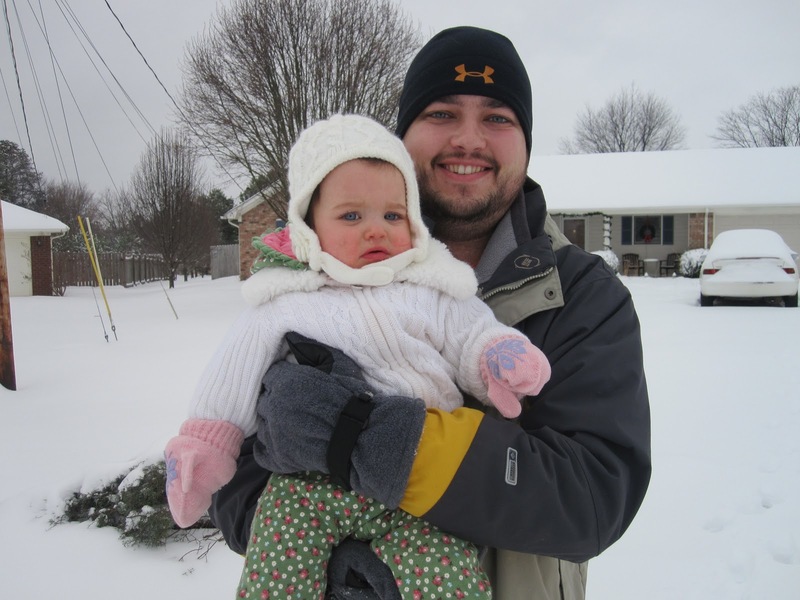 Then we bundled up and headed outside. 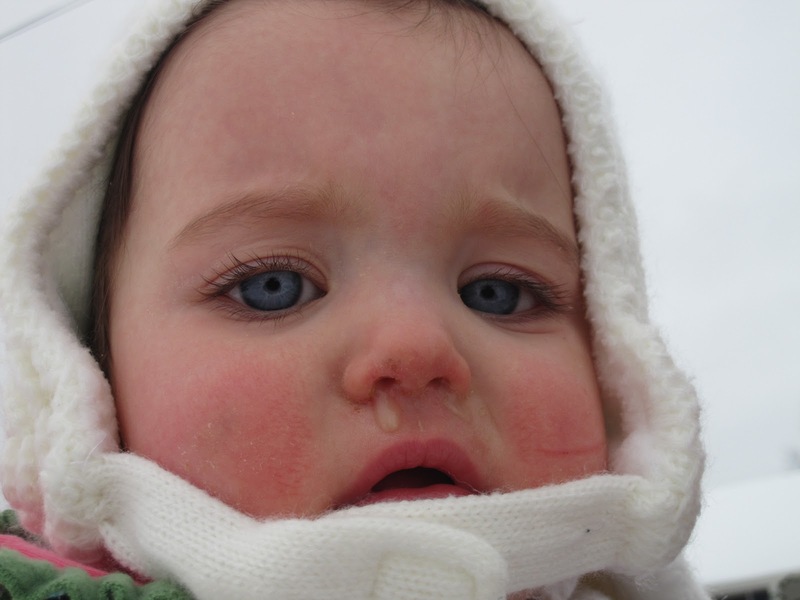 Lily was getting a little fussy because it was close to her morning nap time, so she didn’t enjoy it too much. Maybe I should invest in some snow boots? 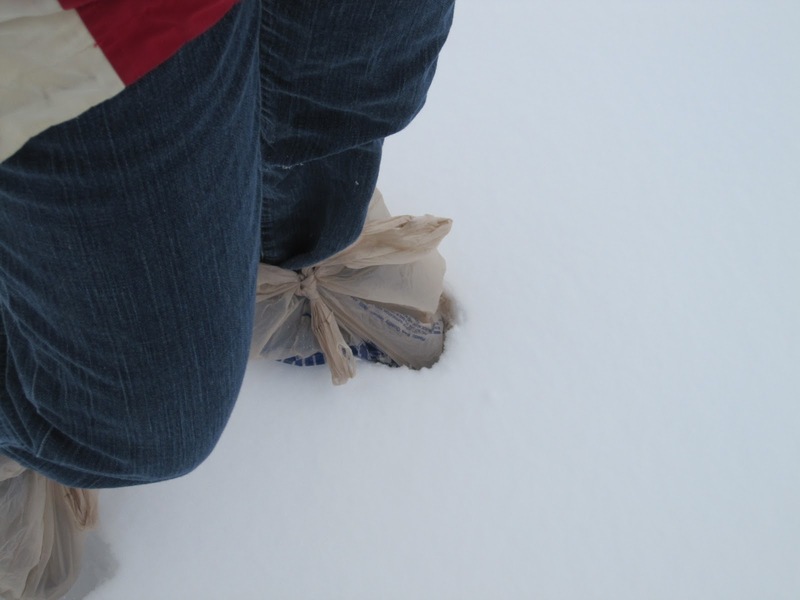 Nah…the Kroger bags worked just fine! 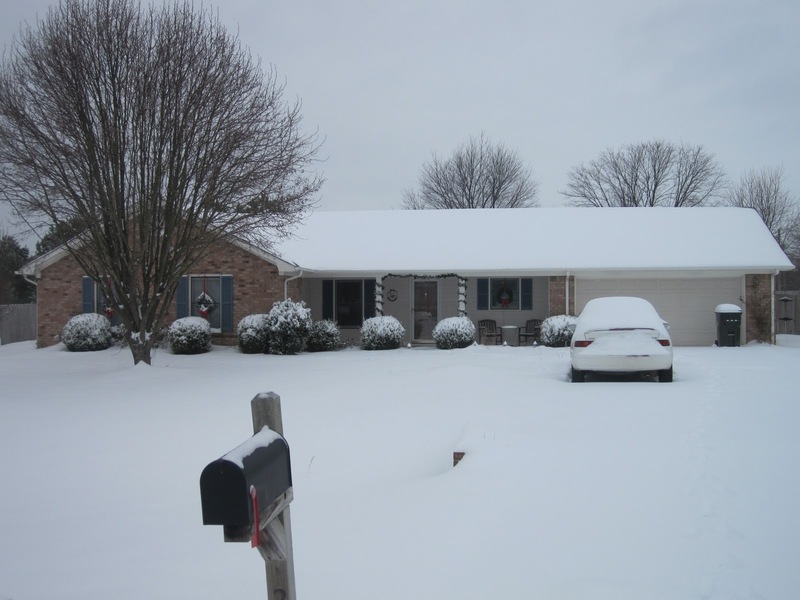 Our house in the beautiful snow. Yes…those are Christmas decorations still on our house. The opportunity to take them down just hasn’t risen yet. The decorations in the house are down, though! We don’t look too redneck because there are about 4 other houses on our street that have decorations up and light them every night! 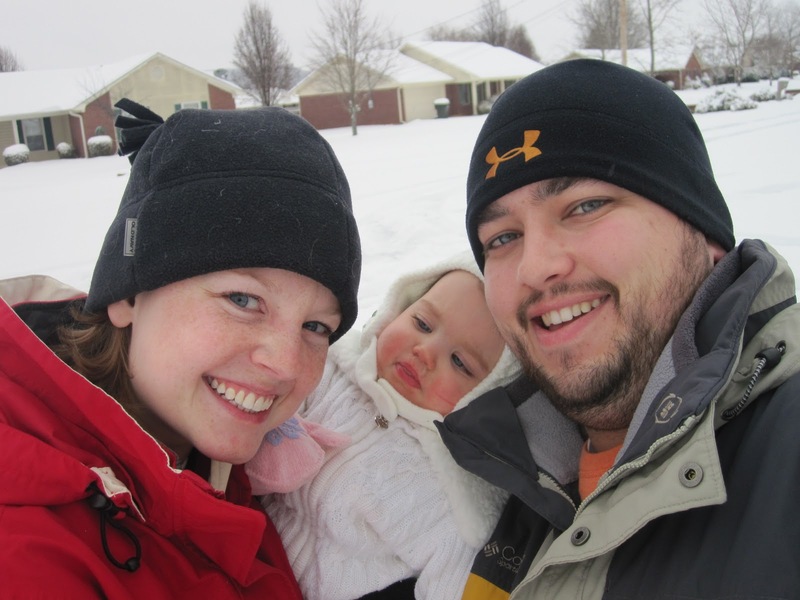 All three of us in the snow! 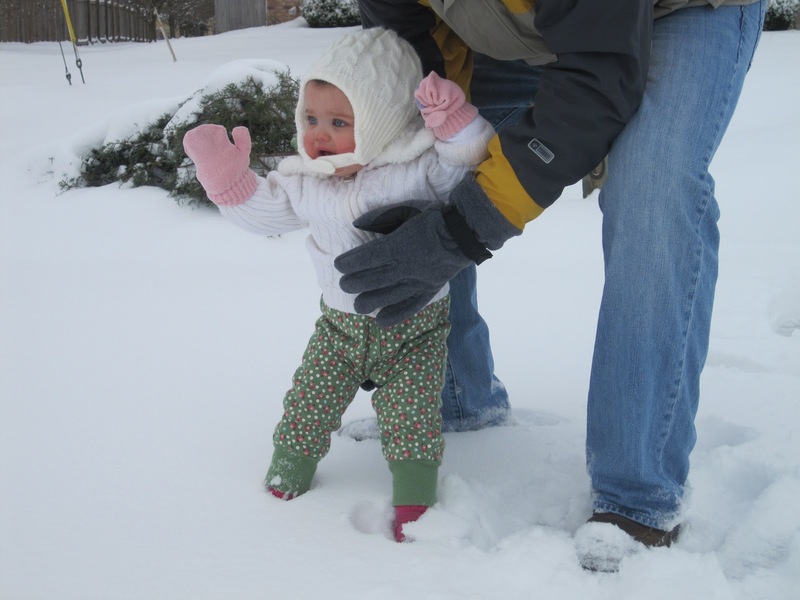 Trying to get Lily to stand in the snow…we should have known better! 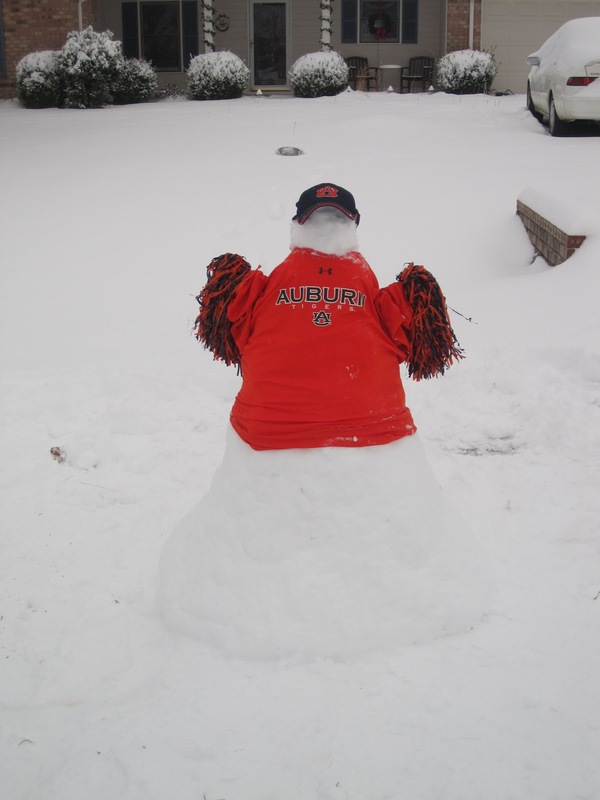 Lily went down for a nap, so Brent and I made an Auburn snowman. WAR SNOW EAGLE!!! We are very thankful that the power didn’t go out so we can still watch the game tonight! 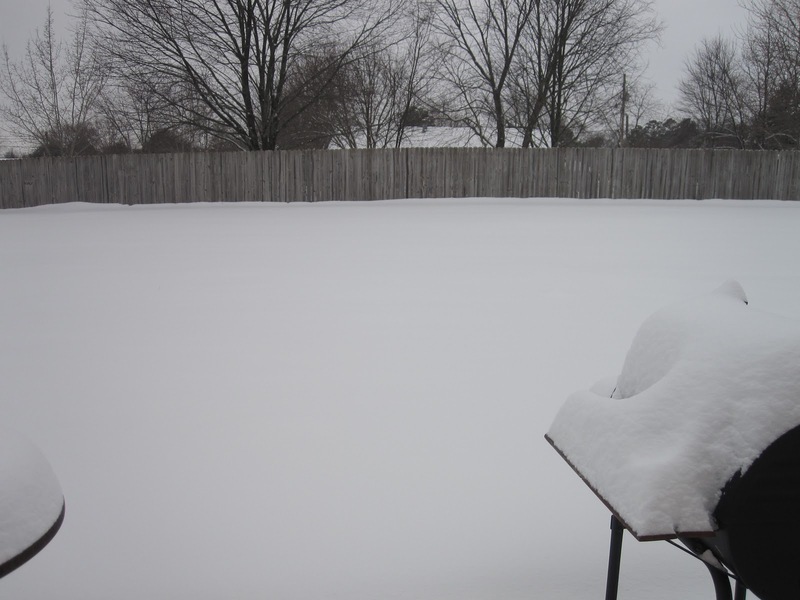 I hope everyone enjoyed their day in the snow. Stay warm and safe! wish we were there/yall were here or something similar! Snow & ice has brought out the crazy in the wrights!!! 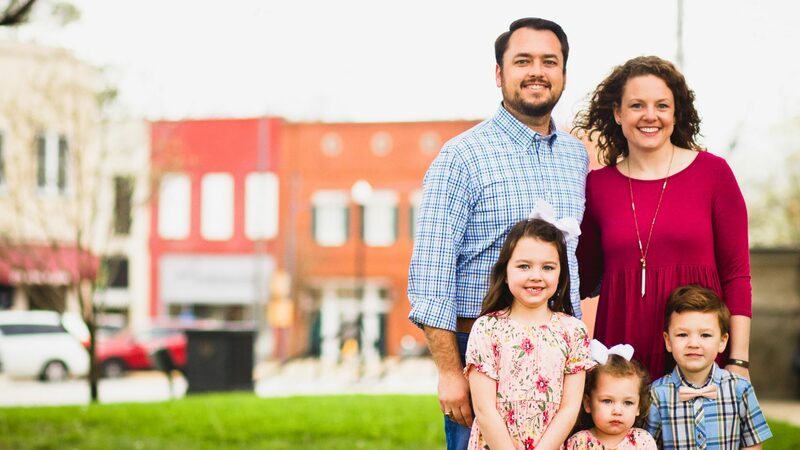 Brittany, I love your blog! I found you from Bloom. We like basically the same things so I had to laugh at myself. I have a daughter born 1/6 that just turned one. I also have a 2 year old and I was a teacher before kids. Looking forward to getting to know you more!